When I first learning about vacuum tubes and knew nothing, this is the information I would liked to have seen. I was able to find it in various places, but I wanted to collect it together. 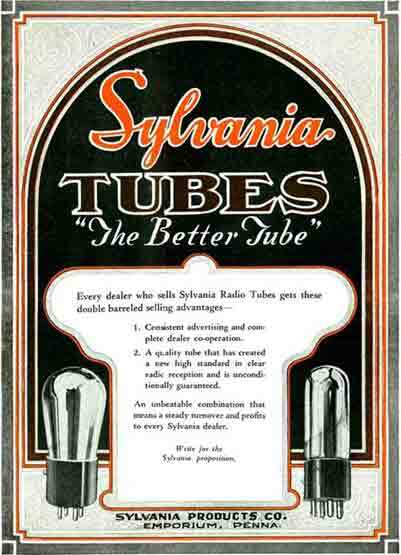 This is meant to be an introduction, not an encyclopedia, and it's limited to the kinds of tubes I'm interested in: tubes used in old radio receivers. There are a ton of other types: radio transmitting, television, computer, photomultiplier, and all sorts of special application types. Anyone interested in those types can find further information on them on the internet or in reference books. But the basics apply. I have tried to write each section to stand-alone, but if you're new to this, it would be better to read them in the order presented below.